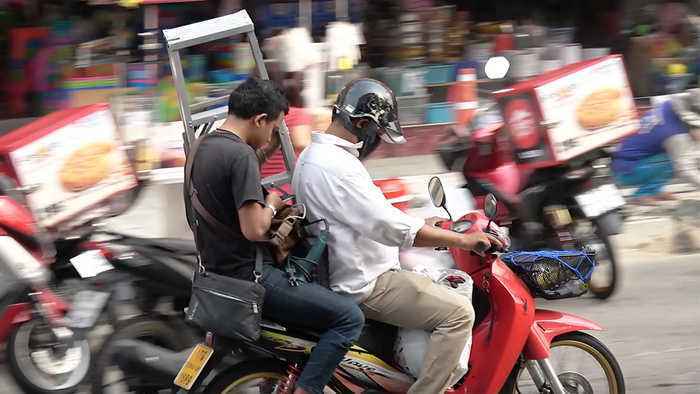 Motorcycle passengers riding pillion while carrying a selection of strange objects. They include step ladders, boxes, flowers, hosepipes and gas cylinders. The scenes were captured in the Huai Khwang area of Bangkok, Thailand, and give an idea of some of the reasons why Thai roads are regarded as the most dangerous in the world.